1 Hour by train from London`s Kings Cross or straight up the A1. Appointments 7 days per week. Michael is a trained senior hypnotherapist, transpersonal therapist and metaphysician. Birth may be the most traumatic and dangerous experience one can undergo in life. Human behaviour tends to replay birth issues as emotional, sexual, psychosomatic and cognitive patterns that can be repeated through your life originating from your birth experience. For a lot of people, they can be fixated or stuck in the birth trauma. Birth Regression is an adjunct to Past Life work as it is a natural progression from one life experience to another. Apart from the actual Birth experience, some Past Life patterns which trouble a person throughout the present life may have been re-stimulated sometime during the pre-natal period or the birth and peri-natal experience and amplified and subsequently replayed stronger in this life than otherwise would have happened. Recall of a past life situation can be triggered in the mind of the unborn by a sound or smell, the position of the body during birth, the attitude of mother, or the absence of mother's consciousness caused by anaesthesia administered during the last minutes of labour and delivery. Part of the consciousness seems to be connected with the body from the moment of conception, receiving and recording all experience in the forming body (in utero) including the thoughts and feelings as well as suppressed thoughts and feelings of the mother. If these are deep persistent patterns of feelings of chronic anxiety or a wrenching ambivalence about motherhood, they can leave a deep scar on an unborn child`s personality. This information is unfiltered, unprocessed and accepted without judgement or discrimination. The impact of this information can have devastating effects on the mind and life of the person in childhood, adolescence and adulthood thereafter. However, the distorted memories and experiences of the new-born can be corrected in adulthood through birth regression with the healing of the emotions and beliefs. I can move forward into Birth regression during past life exploration if the natural progression of the Past Life session moves that way. In the Bardo state (space between lives) when we are doing past life work we can often move into the planning stage before the present life begins and then into the birth experience of this life if this is a natural and necessary part of the Past Life session. It often is. If appropriate, you are guided to the experience of your mother and father as they join in the union that will lead to conception. This interaction can be loving or otherwise depending on the circumstances. During the moment of conception, I allow you time to experience this silently as it is usually indescribable. You may get strong sensations beginning at the top of your head and moving entirely down the length of your body. The emotions and sensations involved in the interaction between your mother and father are fully registered in your consciousness. The moment when Mum discovers she's pregnant is usually registered clearly; Dad's reaction when she tells him she's pregnant may be even more significant as perceived through her senses and filtered to you. He may react in disappointment and / or anger. This may set the emotional base for your life to come. How a father feels about the mother and the unborn child is one of the single most important factors in determining the success of pregnancy. If several months pass between conception and the discovery of pregnancy you may feel invisible, unacknowledged and denied. Also, any thoughts your parents may have had about abortion are registered by your consciousness and you will react strongly as this memory surfaces if this is the case. I guide you in a thorough exploration of these responses from your parents. It often happens that a past life session develops this way through trauma in a prior lifetime that leads into the pre-natal situation in the present lifetime. This will often uncover a time when the roles of parent and child were reversed. We also look at karmic links to your mother and father. As this past life interaction is explored, the possible resentment, anger, opposition, even the resistance to the present life circumstances often seem to dissolve and change. I use gentle prompting to move you forward in the pre-natal experience and explore different times in the womb. This continues until you feel the time of delivery is near which can have all sorts of experiences for you. As the baby emerges there is usually the bright light, the unfamiliar sounds in the delivery room and the inevitable separation from Mother. If there is anaesthesia which dulls mother's consciousness the infant experiences that Mum goes away. There's a separation mentally as well as physically. The infant feels abandoned, rejected and does not understand what is happening. This perceived separation can develop into a fear of separation that may pervade an entire lifetime. There is often enormous anger at that point. The new-born has the feelings but cannot express them. I encourage you to cry and express the anger, using the language of the adult if this is your experience and wholly appropriate for you. I can probe to determine the source of the anger. What expectations were there before coming in? What happened? What didn't happen at the time of the birth? What agreements were made between your mother and you in the planning stage? At the time of the conception what agreements were broken? The anger is often about broken agreements and damaged trust. These memories can be uncovered, relived in a safe and healing environment and the attendant emotions expressed and released. The second approach to the birth experience and the one I prefer, as there is so much in this area is a gentle regression from the present moment backwards in time. There is often not enough time to explore the past life and then work within birth issues in one session. The intention of a separate Birth regression session is to explore the birth, pre-natal and conception as fully as possible. With you in a relaxed and comfortable position I guide you through it. This way, we can focus the entire session on Birth issues and if necessary have follow ups and work into or work out of Past Life material as relevant. Birth regression is a deeply profound experience for everyone and can unravel much of the distortion of the present lifetime. 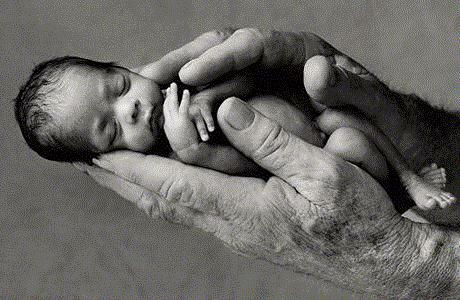 Human birth is a miracle of existence. Birth regression is a stimulating process and provides a rich source of material which can be used therapeutically for your healing on every level for the rest of your life. We are `our` future and it should be a future free of the dangerous turmoil and suffering that has so often marred our past, that inner child (baby within us) must be treated with love and respect a spiritual being deserves. The sessions last about 3.5 hours with the taking of your case history, preparation, actual experience and discussion and integration afterwards. The cost is £175 by cheque with a Bankers card, by credit or debit card or in cash and a £80 deposit will be required when booking to be paid before the session. This deposit can also be taken over the phone if you make the appointment by phone. All major debit and credit cards accepted. On booking, a £80 deposit request will be sent to you by email to use the PayPal service. Past Life Regression in Grantham. Past Life Regression in Newark. Past Life Regression in Lincoln. Past Life Regression in Peterborough. Past Life Regression in Derby. Past Life Regression in Leicester. Past Life Regression in Stamford. Past Life Regression in Oakham. Past Life Regression in Rutland. Past Life Regression in Leeds. Past Life Regression in Sheffield. Past Life Regression in London. Past Life Regression in Nottingham.